Cohesity offers a hyperconverged platform onto which customers can consolidate their secondary storage workflows. The platform has rich set of features. In this blog, I’m going to talk about it one of the features – archiving data to tape. With the advent of public and private clouds, archiving data for long term retention, compliance purposes and auditing has become lot easier and cost effective. The Cohesity DataPlatform has a tight integration with all the major public and private clouds. You can find more details about it here. Still, some customers prefer tape for long term archiving, either to comply with their existing business processes, regulatory requirements, or to take advantage of their existing tape infrastructure. With our latest tape integration, customers now have the option to archive data to public clouds, private clouds or tape. Archiving data to tape libraries can be challenging because there are many different tape libraries from multiple vendors, that support different formats. Media management is entirely a different ball game. Instead of getting into managing the tape libraries and dealing with different formats, we partnered with QStar. QStar supports wide variety of tape libraries and formats. This allows us to support most existing tape environments effectively. 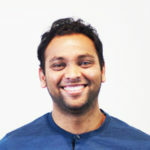 Once QStar is set up and configured as an external target on Cohesity, archiving data to tapes is a simple two step process (1) defining a policy (2) applying the policy to a protection job. To archive data on our platform to tapes, you need to first install QStar Archive Manager software on a physical Windows host, which is connected to the tape library. Then you need to register the library with the QStar Archive Manager and create an Integral Volume. An Integral Volume is a set of media (tapes) with a cache, and it can be mounted as an NFS or a CIFS share. 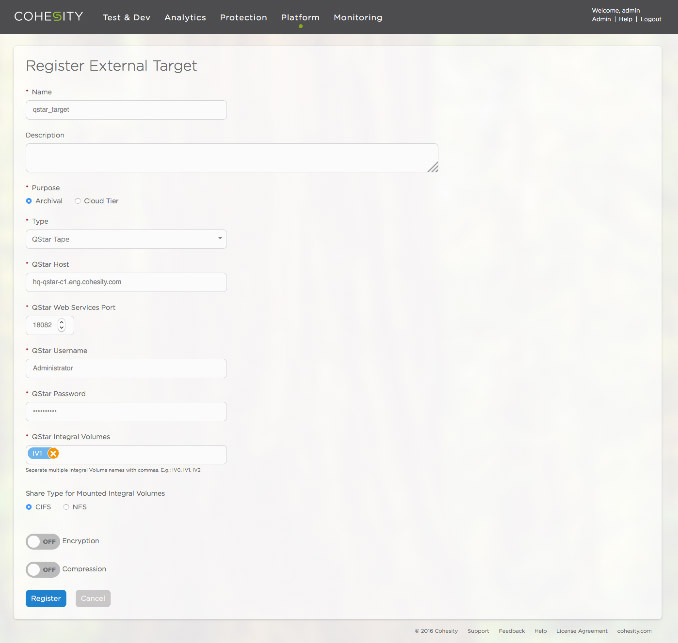 Cohesity data platform allows you to register multiple external targets. These targets can point to public clouds, private clouds or QStar Integral Volumes. While creating the QStar external target, you need to specify how the volumes are mounted – whether using CIFS or NFS. You can optionally enable encryption or compression on the target. 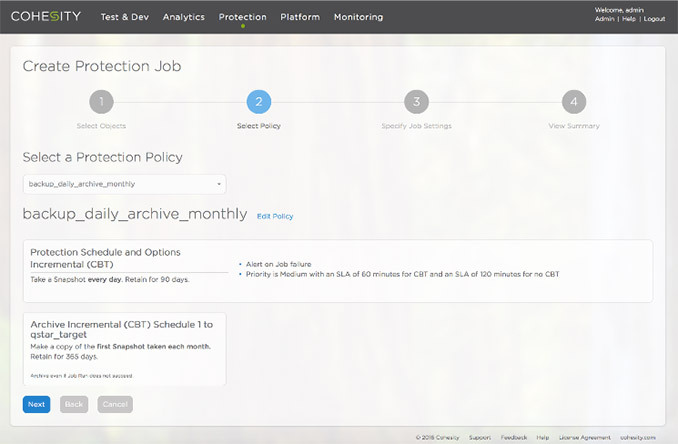 After the QStar external target is created, to archive data to tapes, you need to create a policy that specifies the archival schedule and apply the policy to a protection job. The policy that was applied to the following job specifies archive the first snapshot taken each month to the QStar Integral Volume. When the job executes, Cohesity will write data to the Integral Volume cache and request the Integral Volume to flush the data to tape immediately. What next? Recovery. The best part about Cohesity’s recovery feature is that your recovery experience is consistent irrespective of where your data is located – local cluster, remote cluster, public cloud, private cloud or tapes. For more details, download the long term archive to tape solution guide here.